Ethical fashion designer Stella McCartney counts four in her veg brood. Bethany Frankel announced that her toddler daughter is a vegetarian. And anyone could have guessed that Alicia Silverstone, who blogged throughout her pregnancy on vegan health issues would pass her commitment to vegan living on to her son. Yet these announcements were all met with a combination of curiosity, support, disdain, and outright criticism. Which is something any of us non-celebrities who are raising veg kids can relate to. I’ve been a vegetarian since I was 10, and I have eaten a primarily vegan diet since I was 24. So I never considered that I would raise my children as anything other than vegetarian. 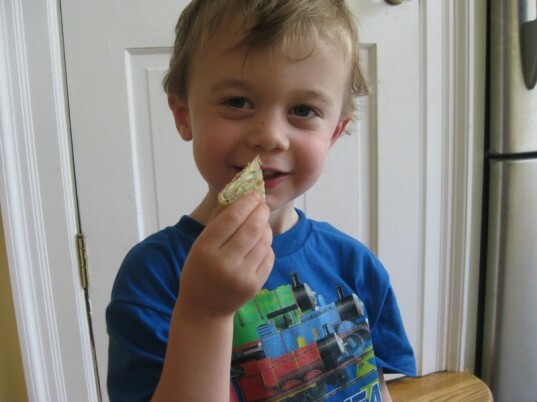 My son is in good company: a 2010 Vegetarian Resource Group Poll reported that 3% of kids in the U.S. are vegetarian. But is raising vegetarian or vegan kids a no-brainer? I spoke to several vegan and vegetarian parents, read on to discover their theories and challenges behind how they feed their children. For some, like Jonathan Safran Foer who examines dietary decisions in Eating Animals, having a child can be the catalyst for inspecting one’s own diet and for making changes for the whole family. But for others, especially those in “mixed-marriages” of vegans or vegetarians with omnivores, the decision might not be quite as simple. I personally have a very difficult time imagining what I would do if my son decided in a few years to eat meat. I’d like to be supportive, but I also cannot imagine putting meat on our table. Yet, some veg parents find themselves in a situation where the decision makes itself. Cat, a vegan for nineteen years and mother of a 1-year-old girl, recalls how after initial difficulties nursing her newborn daughter, she and her husband turned in desperation to a non-vegan formula, “just to get her to eat something.” Once they got their daughter’s health and feeding under control, they quickly found a vegan option, and their daughter has maintained a vegan diet ever since. Yet even educated, well-meaning people wonder if there is a true cause for concern. And in some cases, there is. We’ve all read about vegan parents who let their kids get malnourished from eating a raw and/or vegan diet, and there are even some children who have died as a result. But these illnesses and deaths are not the result of a vegetarian, vegan, or raw diet, but rather a poorly planned veg diet. Millions of kids suffer from health ailments related to or caused by the Standard American Diet, yet their meal options are more accepted. Regardless of whether your child is vegetarian, vegan, or omnivorous, it’s always a good idea to keep expanding our ideas of good nutrition. 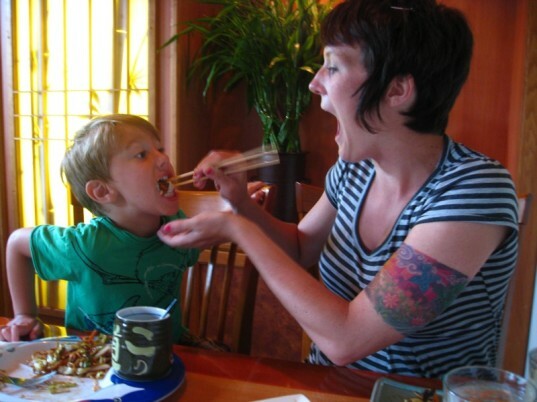 Challenge yourself to try some of our tips for raising adventurous eaters. That’s not to say that I never wonder if certain random health issues (such as cavities) in my child’s otherwise healthy baby and toddler years are a result of his largely vegan diet. But these instances have simply made me more committed to providing the healthiest, most varied plant-based diet possible for him and to continue researching his nutritional needs. Fortunately, for this generation of babies, there is actual science to show the benefits and advantages of being raised veg. After all, in his last edition, Dr. Spock recommended a vegan diet for children over the ages of 2. We are lucky to have plenty of resources from reputable health experts, such as those at Physicians Committee for Responsible Medicine to offer guidelines and advice. While some veg parents spoke about extended family members, usually those of an older generation, having concerns, in general, most had a strong veg support system. Killeen, whose husband became a vegetarian around the time that they started dating, said, “When we had our first child, it was an unspoken decision to raise her within our shared lifestyle choice”. One of the muddier areas of veg parenting are social gatherings. A veg kid eating vegan pizza and coconut milk ice cream in a veg family is one thing. Having to explain to a two year old that he can’t eat, well, anything at a birthday party is another. As Cat says, “Do I want my kid to be that kid that can’t have pizza at a party?” For me, it’s not something I stress about. Elijah eats so well and healthfully at home, I am unconcerned at his occasional dip into products made with dairy or eggs. And call me lazy, but I don’t want to have to whip up a personal portable vegan party box for him whenever someone in his preschool class has a birthday. From a consumption standpoint, I don’t believe that anyone would have made one less cupcake or ordered one less slice of pizza because of his vegan diet, so we adopt a freegan attitude at these times (which we never extend to any actual meat products). The vegan pizza, cake, and ice cream we served at his own birthday was a hit, and even converted several parents to expand their veg repertoire. Great article Marni - thanks for writing it. Go vegan mamas! Ethical fashion designer Stella McCartney counts four in her veg brood. Bethany Frankel announced that her�toddler daughter is a vegetarian.�And anyone could have guessed that Alicia Silverstone, who blogged throughout her pregnancy on vegan health issues would pass her commitment to vegan living on to her son. Yet these announcements were all met with a combination of curiosity, support, disdain, and outright criticism. Which is something any of us non-celebrities who are raising veg kids can relate to. I�ve been a vegetarian since I was 10, and I have eaten a primarily vegan diet since I was 24. So I never considered that I would raise my children as anything other than vegetarian. 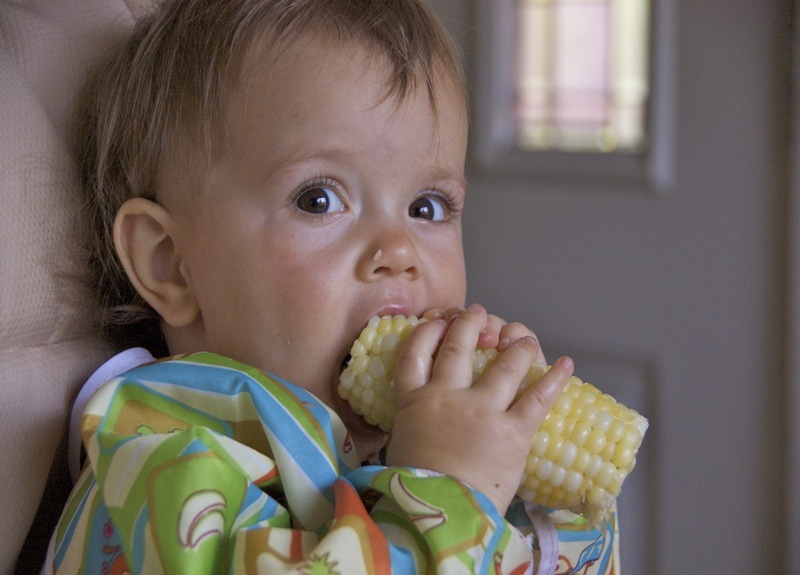 My son is in good company: a 2010 Vegetarian Resource Group Poll reported that 3% of kids in the U.S. are vegetarian. But is raising vegetarian or vegan kids a no-brainer? I spoke to several vegan and vegetarian parents, read on to discover their theories and challenges behind how they feed their children.